How can we protect new urban areas from the effects of extreme rainfall? 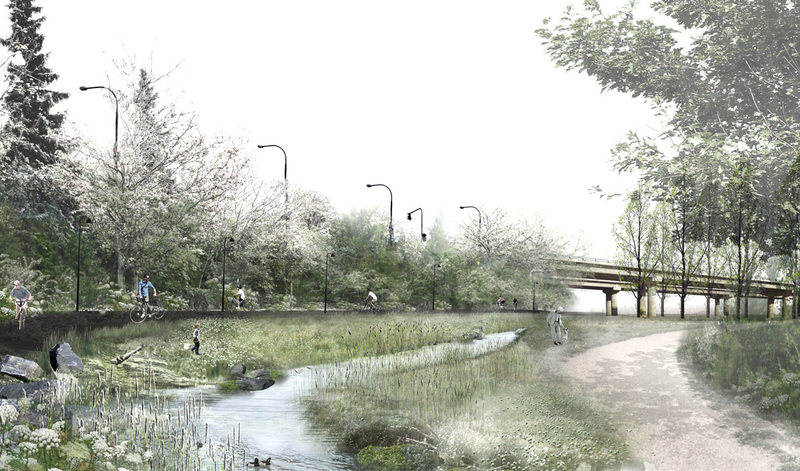 The creation of Å-parken on the site of the former railway line in Aalborg is a response to this challenge, allowing for the Øster Å to be reopened and to run through the park. 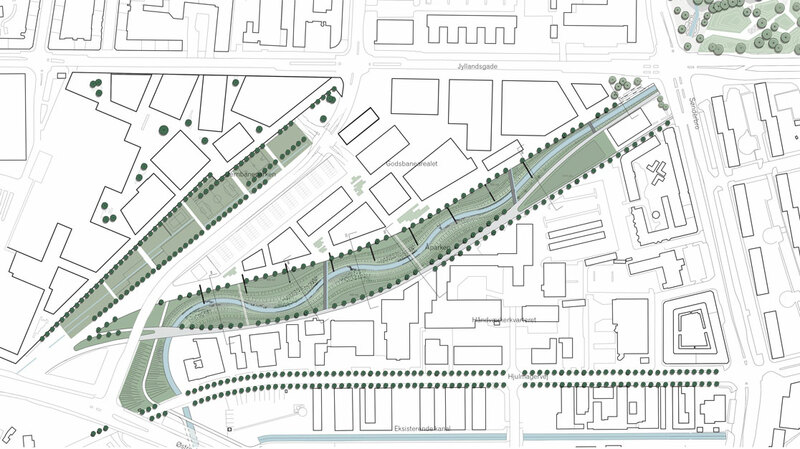 The restoring of the river is part of a larger plan for climate proofing in southern and central Aalborg. The reopened river will function as a new route for storm-water, taking the water out to Limfjorden. Å-parken has been robustly designed to be able to accommodate the potential overflow from the river, as well as all surface water drainage from nearby buildings during periods of extreme rainfall. While fulfilling these environmental requirements, the park creates new recreational urban environments which offer fantastic amenity values to the newly built surrounding neighbourhood. The result of this project is a multifunctional and sustainable rainwater harvesting landscape which can accommodate future rainfall challenges.